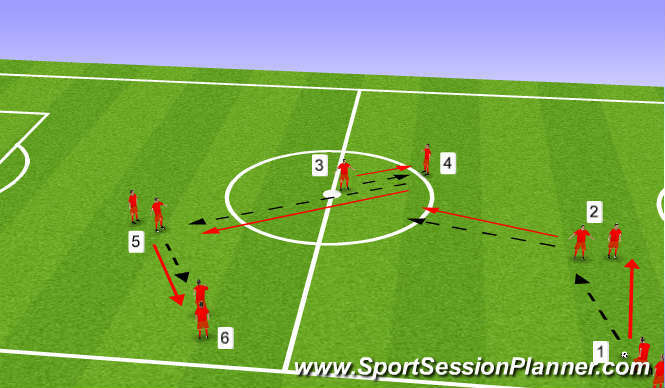 5 controls/sets up for pass towards 6. ALL PLAYERS FOLLOW THEIR PASSES AND REPLACE RECEIVER. 6 starts the same process back to 5, 4, 3, 2 and 1.